Film director Errol Morris once worked as a private investigator and his best part is his investigative-journalist side – the muckraking detective. While planning a documentary about a forensic psychiatrist who became notorious for his “expert witness” testimony in capital punishment cases, he happened to come across a death row conviction that didn't smell right and made a film (The Thin Blue Line) that ended up getting an innocent man released from prison. But Morris’ reputation as one of the greatest living filmmakers, and very likely the greatest living specialist in documentary feature filmmaking, isn't based mainly on 25-year-old headlines generated by his breakthrough movie. It’s based on his being a “stylist” – on his artistic pretensions and the easily recognizable visual and aural tics that make up his style. Morris has been known to reject the term “documentary” in favor of “nonfiction film,” because he feels that having his movies called documentaries lumps them in with films shown in classrooms and on public television. Frederick Wiseman may well be the most important documentary filmmaker of the past fifty years, but if you happened to walk past a TV set while High School or Basic Training was showing, you could take a glance for a few random seconds and mistake them for a clip from any old TV news show. Morris’ movies look and sound like Errol Morris movies. How impressed you are by the fact that, more and more, they all look and sound like the same Errol Morris movie may depend on whether you use the word “auteur” in casual conversation. Morris’ sense of himself as an artist extends beyond the look of his movies. 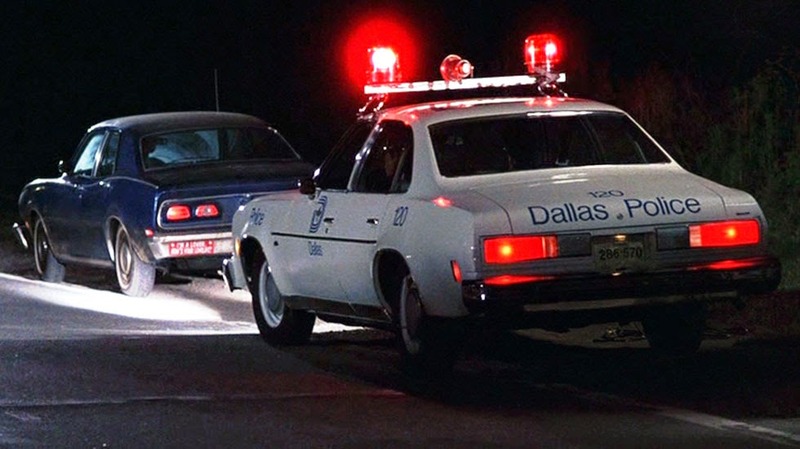 In a 1989 New Yorker profile that was published around the time of the legal fallout from The Thin Blue Line, Mark Singer wrote that “a reporter for the Dallas Morning News had said to Morris, ‘You know, Errol, there are two sides to every story,’ and he had replied, ‘Yeah, the truth and falsehood.’” This side of Morris, the straightforward, moralistic believer in factual truth, co-exists uneasily with the arty-filmmaker side. He is very taken with the idea of different perspectives and people creating their own reality and the power that image and language have to affect our perceptions. But he does it to the point that he appears to be dicking around with the notion that there is no such thing as knowable truth. In The Thin Blue Line, this took the form of the movie’s dueling recreations of different witness’ versions of key events. As Morris’ career has advanced and his reputation grown, however, he’s no longer inclined to be so playful. Seven years ago, Morris let his first-year-Philosophy-student-with-a-subscription-to-Artforum side overwhelm his judgment and made an utter hash of his Abu Ghraib movie, Standard Operating Procedure. In telling the story of the sniggering cretins who photographed themselves torturing and abusing Iraqi prisoners, Morris may have set out to make the point that there were higher-ups who deserved to be held accountable as much as the soldiers who did time for their atrocities, but who managed to evade punishment, partly because they weren’t so imbecilic as to leave photographic evidence behind. But he put so much focus on the qualities and context of the pictures themselves that the torturers came across not just as fall guys, but as innocent victims who were destroyed because of public pressure brought to bear by people who lacked Morris’ sophisticated understanding of the totemic power of the photographic image; if anything, he extended more sympathetic feeling their way than he had shown to the actual blameless, wrongly convicted Randall Adams in The Thin Blue Line. Morris’ new film, The Unknown Known, constitutes a second bite at the apple. He was able to persuade one of the 800-pound gorillas of the Iraq War, Donald Rumsfeld, to sit for what amounts to a feature-length interview, in which he can guide him through an account of his career and, in the process, ask him about the rationale behind the war and, among other things, question him about his own accountability in the torture scandal. The film is also a companion piece to the Oscar-winning The Fog of War, Morris’ feature-length interview with Robert McNamara, which had a special impact when it was released late in 2003, as it was becoming clear that the war that, for a time sent Rumsfeld’s approval numbers into the eighties, was not going to end either quickly or smoothly. McNamara put more restrictions on his interview than Rumsfeld did, and he refused to explicitly comment on Iraq and any parallels between it and the central fiasco of his Washington career and Vietnam, yet The Fog of War, which the two men promoted together, had the feel of a collaboration. The Unknown Known presents itself as a kind of confrontation. 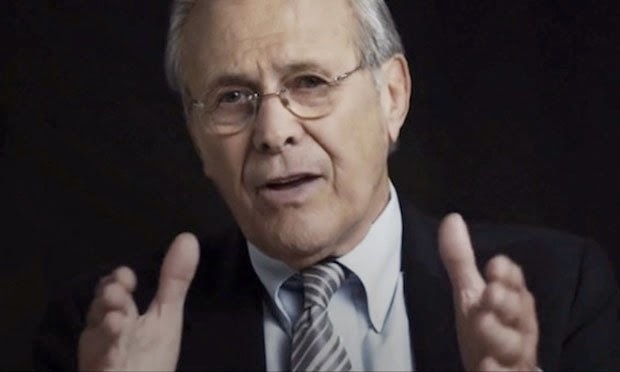 At the very end, Morris asks Rumsfeld, point blank, “Why are you doing this?” The implication, which Rumsfeld affably acknowledges, is that Rumsfeld has put himself, or at least his reputation, in harm’s way by volunteering to be interrogated by a tough, hostile interviewer. Rumsfeld could afford to be affable; the old pro probably realized, as Morris may not have grasped until he went into the editing room, that Morris didn't lay a glove on him. When the conversation turns to Abu Ghraib, Morris, like a dog with an old shoe, asks, “Why do you think the pictures” had such an impact, then asks Rumsfeld if he thinks that the abuse that happened at the prison in Iraq filtered down from the “heightened interrogation” techniques being used at Guantanamo Bay. Rumsfeld says, no, and adds that there were investigations led by men such as James Schlesinger that bear this out. Then Morris reads an excerpt from the Schlesinger report that argues that the prison abuse at Abu Ghraib did filter down from Gitmo. Rumsfeld responds by saying, “Yeah, I think that’s a fair assessment.” This is Morris’ big “Have you no sense of decency, Senator?” moment, and he blows it: instead of asking Rumsfeld how he can so brazenly contradict himself, he can’t resist going for a cheap laugh, asking, “Are you saying, stuff happens?” Subtlety isn’t a weapon Morris has pulled out of his arsenal very often in the course of his career, and he’s wielding it against the wrong opponent. Unless you’re a new arrival to our planet or have recently awakened from a fifteen-year coma, The Unknown Known won’t tell you anything you don’t know already, unless you find it interesting to discover just how pissy Errol Morris can sound when his soufflé refuses to rise. Yet so solid is Morris’ reputation, and kneejerk reverence defines so much of the current state of film criticism, that I’ve seen reviewers claim that this is a worthwhile, if not essential viewing experience. 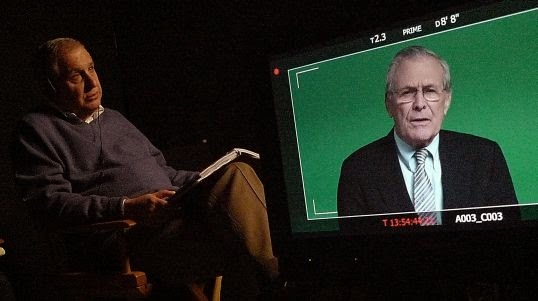 For them, spending an hour and 45 minutes watching Errol Morris fail to put a crack in Donald Rumsfeld’s smirk is, in and of itself, both remarkable and enlightening. That’s like saying that getting hit in the head with a brick is a worthwhile experience because it really fleshes out your abstract conception of pain.